Waltz is partner dance genre done to waltz music which is composed in a 3/4 time meter. In addition, it is considered a smooth dance style. Generally, it moves with a weighted step on every beat. Alternatively, the hesitation rhythm uses a weighted step on the first or accented beat of the measure holding for the next two beats. Furthermore, the count one-two-three, one-two-three is often used. However, some prefer counting a full six counts of a box pattern, etc. 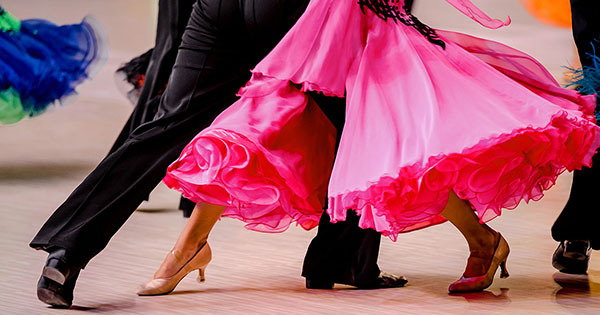 In DanceSport, it is part of the American smooth dance category which also includes foxtrot, Viennese waltz and tango. In addition, it is one of the five International Standard (ballroom) dance styles. The other dance genres are foxtrot, quickstep, tango and Viennese waltz. The dance evolved from earlier forms like the Weller or Spinner dances in the 6th century. In the 18th century, it evolved from the Landler, a traditional Bavarian dance in 3/4 meter. In addition, the English word waltz came from the German walzen, which means to revolve, turn and spin. Historians suggest a version of the dance was performed at the Austrian court of Peter the Great. Also, a form of the dance called Waltzer was done in both Bavaria and Tyrol around 1750. Eventually, it spread out to the suburbs. This dance became very popular in Vienna in the 1780’s. Meanwhile, the upper classes continued to dance the minuet while waltz dancing spread through the suburbs of Bohemia, Austria and Bavaria. Furthermore, this dance became fashionable starting in the mid-18th century eventually spreading worldwide. Later, in the 1920’s, Vernon and Irene Castle popularized a form known as the Hesitation Waltz. Currently, there are many forms of this style of dance including the an American style and a Viennese style popular in the United States. However, there are many other styles from different countries like Scandinavian, Peruvian, Curacaon from the Caribbean, Mexican to Spanish music, Cajun and Venezuelan. In addition, there are other categories of the dance like International Standard (European), Cross Step (Folk), Contra and Valse Musette from the late 19th century. 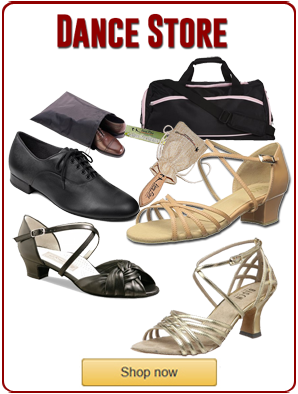 The American style developed from the original Viennese style by dancers and studios in the United States. The American style used a slower tempo than the original Viennese. Additionally, more rise and fall is used due to the slower tempo. In the early part of the 20th century, dancers like Arthur Murray codified a series of patterns to teach the American population. In addition, music evolved that used the slower tempo preferred by American dancers. The waltz is a smooth dance that travels counter clockwise around the dance floor. In addition, it uses a lilting action called rise and fall. There are many different styles of this dance and each style has its own unique form. However, the main difference has to do with closed and open position movements. Also, the number of variations and patterns vary among the different styles of waltz. For instance, one does not have to maintain a closed position in the American style of the dance. Moreover, the open position is frequently used for performance and competition dance routines. Also, the music tempo tends tends to be faster than the English slow style. Still, it is slower than the Viennese style of the dance. 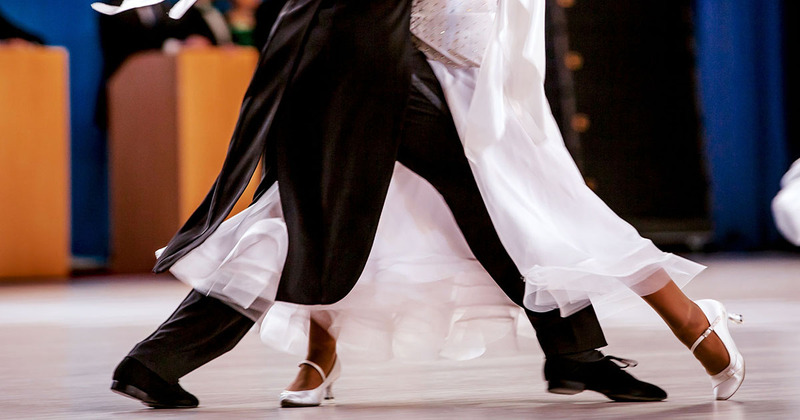 The American style uses both closed and open movements often moving toward the nearest wall or the center of the ballroom. It incorporates a continuous left and right turns, as well as, underarm turns and solo spins. The American style incorporates theatrical movements and allows the dancer more freedom of expression than the International style. The American style is primarily danced in the United States. The International waltz, sometimes called the slow or English waltz, is danced exclusively in the closed dance position. In addition, it is slower than most of the other forms of this dance. Moreover, this style was heavily codified for competition and dancesport. Nonetheless, it is popular in competitions worldwide. Also, International style is danced in Europe and the United Kingdom. The Viennese waltz was the earliest form of the dance that is close to the contemporary forms. Moreover, it was prominent in the mid-nineteenth century in Vienna, Austria. Furthermore, it never lost popularity and is still danced word wide today. In addition, it is included in dance sport competitions. Different styles of waltz incorporate different dance positions. For example, the International style is danced exclusively in closed dance position. Meanwhile, American and country western styles allow for a lot of open position patterns. Additionally, some of the dance positions include: closed, open, shadow, outside partner, parallel, promenade and other dance positions. Composers that wrote waltz music include Franz Schubert, Frederic Chopin, Johannes Brahms and Maurice Ravel. Meanwhile, other composers from after the first world war include Gustav Mahler, Igor Stravinsky and others. While the original music tempo was very fast a slower tempo emerged in the early twentieth century. 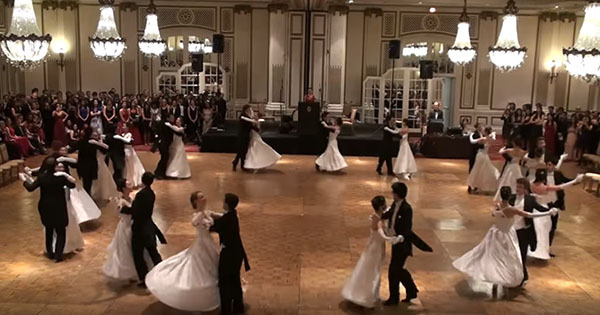 Furthermore, this type of music is popular at ballroom dance parties but also in country western dance clubs and especially at weddings for the first dance. The different types vary in tempo with International style being the slowest and Viennese the fastest for tempo. American and country western styles are somewhere in between. Generally, this dance genre includes a progressive pattern that moves forward in line of dance (LOD). However, depending on the style it may be linear or zig zagging toward and away from the nearest wall. In addition, most use left and right turning box steps, change steps, pivots and underarm turns. Also, some forms use an abundance of arm movements like the country western style. Moreover, there are hundreds or may be even thousands of steps (aka step patterns). 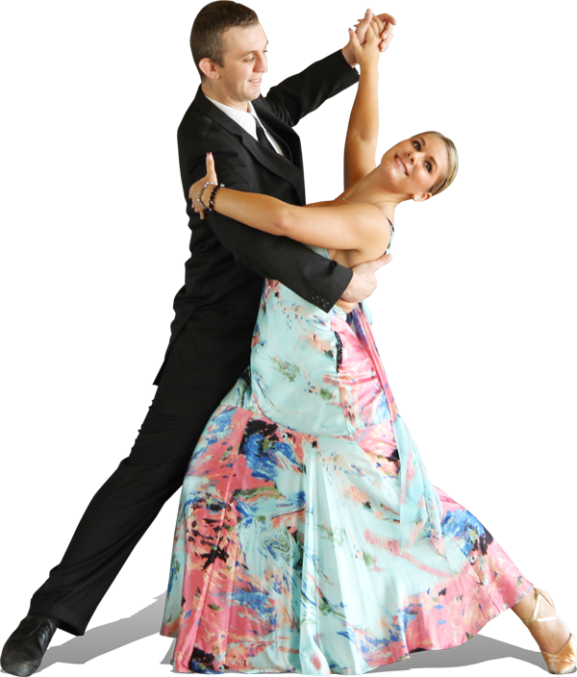 In recent decades, several organizations have created lists of syllabi including Dance Visions (DVIDA), Arthur Murrays Dance Studios, BallroomDancers.com and dancesport organizations have standardized pattern syllabi. Additional Articles, Video Clips, Pattern Reviews!